21 Plus Telecom - Why Toshiba? Improve user productivity and efficiency, and increase customer satisfaction with a range of business-focused solutions designed to expand the functionality of our Strata CIX communication platforms. 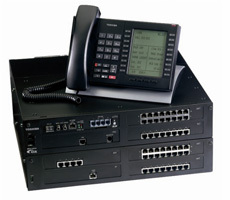 As well as enabling you to make, receive and manage calls efficiently, the Strata CIX family also supports a range of practical, sophisticated solutions that will help you to significantly enhance service to callers, improve first call resolution, ensure that there are fewer abandoned or missed calls and improve utilisation of skills and knowledge across your organisation. Toshiba's solutions can also help you manage the impact that your organisation has on the environment.